Hereditary artifacts in BRCA1 gene have a significant contributory role in familial cases of breast cancer. However, its germline mutational penetrance in sporadic breast cancer cases with respect to Pakistani population has not yet been very well defined. This study was designed to assess the contributory role of germline mutations of this gene in sporadic cases of breast cancer. 150 cases of unilateral breast cancer patients, with no prior family history of breast cancer and no other disorders or diseases in general with age range 35–75 yrs, were included in this study. Mutational analysis for hot spots on Exon 2, 3 and 13 of BRCA1 was done by using Single Strand Conformational Polymorphism (SSCP). Sequence analysis revealed five variants (missense) and one novel splice site mutation at exon 13. No germline mutation was observed on the remaining exons with respect sporadic breast cancer cases in Pakistani population. A vast majority of breast cancer cases are sporadic; the present study may be helpful for designing a better genetic screening tool for germline BRCA mutations in sporadic breast cancer patients of Pakistani population. Further studies involving a screening of entire coding region of BRCA1 is required to explore the merits of genetic diagnosis and counseling in breast cancer patients. Breast cancer is one of the leading causes of death in women worldwide. BRCA1 (MIM113705) is a high risk-associated gene responsible for breast cancer of both hereditary and sporadic origin. Although several studies around the world and few studies in Pakistan, have emphasized that germline mutations in BRCA1 are contributory in a significant proportion for the incidence of breast cancer, the expected ratio in relation to overall prevalence of sporadic cancer cases in our local populations has not been properly clarified. 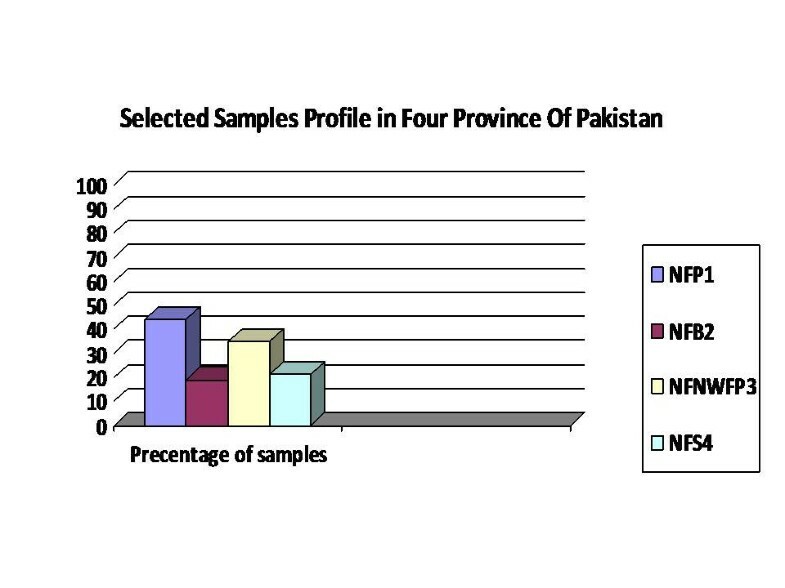 Nationwide Cancer registry records and epidemiological surveillance data regarding the various types of cancers are lacking in Pakistan. However, according to Karachi Cancer Registry report, the incidence rate of breast cancer is 69.1 per 100,000  which is one of the highest in Asian populations, excluding Israel. Estimated prevalence of this gene with respect to familial history is 17% . The estimated ratio of BRCA germline mutations in sporadic breast cancer cases is believed to vary significantly in different local populations of Pakistan, by 4.4 – 11.1% (Rashid, 2004, Liede, 2002). There were limitations in these studies. In case of Leide  case selection was irrespective of the age group, while in Rashid et al  sample selection was mainly confined to familial breast cancer cases. Moreover both studies were mainly confined to Punjab province. The present study was designed in order to determine the contribution of germline mutations of BRCA1 to sporadic breast cancer cases from all four provinces of Pakistan. We have selected hot spots of mutation on BRCA1 gene and tried to screen exons involved in ring finger domain formation of BRCA1 protein too. Breast cancer patients were determined from various hospitals and Nuclear Medicine Institute(s) from January 2006 – March 2007. Peripheral blood samples were collected from Nuclear and Oncology Institutes all over the country. Ethical approval was obtained from the respective research committees of these institutes. Breast cancer cases found suitable, after stringent initial screening (no family history, age of onset of disease, no other family prevailing disorders, no earlier sampling from any other group for any study) were 150 (table 1 and figure 1). They were classified into four main groups, with respect to ethnic and geographic origin: as Punjabi, Pathan, Balochi, and Sindhi. Females free from of haematological disease or malignancy, either in them or their family history, were involved in the study as controls. Blood was drawn with informed consent from patients and these females. Graphical display of the number of participants from the four provinces. Only female patients were selected for this study, as the incidence of male breast cancer in our population was low, and not adequate to justify the penetration. Sporadic cancer is generally believed to be unilateral but we also observed 8 cases of bilateral origin in this regard (included in this study as a single case). Blood samples from each case were collected in blood vaccutainer having EDTA as anticoagulant. For storage, transportation and preservation, recommended guidelines were followed . 100 blood samples from normal individuals exonerated from any disorder were also collected with respective origins, so that mutation or polymorphism of respective origin could be differentiated. Genome isolation was carried out following the recommended protocol  with minor modifications of ethanol precipitation. 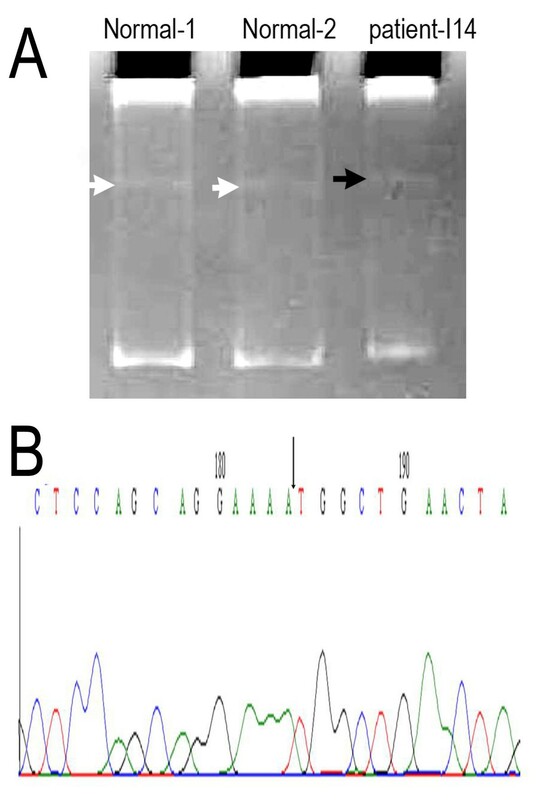 DNA isolated was first confirmed by agarose gel electrophoreses, then quantified by using spectrophotometer to use for polymerase chain reaction. Primers for exons 2, 3 and 13 were designed from the sequences available on Genebank (113705). Primer designing was done with the aid of Primer # 3' software and intron exon junctions were also included in this study for a better identification of splice sites variation. The primer sequences for the respective exons involved in this study are given in the table 2. After optimization, amplification conditions for exons are 95°C for 4 min, 95°C for 30 s, 50°C for 30 s, 72°C for 1 min and 72°C for 45 min. Amplified products were then run on 2% agarose to confirm the chances of non-specificity and yield of the amplified product. For mutation detection, SSCP technique  with few modifications was used and samples were screened for any mobility shift in their banding pattern. This change in mobility shift either predicting any frame shift alterations or base substitution in the specified region was confirmed by running normal controls along with the samples. To check and confirm the findings, sequencing of the respective sample was done by the aid of Big Dye terminator Reaction kit available for ABI310. Bioedit software was use to compare between normal and suspected samples. After extensive screening, five samples were found positive showing an altered mobility shift on the exon 13 of BRCA1. No mutation was detected with respect to exon 2 and 3 of BRCA1 gene. Sequencing reveals an evidence of mis-sense variation on 1435 amino acid Ser. of BRCA1 protein. There is novel splice site mutation changing amino acid 1452 from Ala to Gln and is due to del of A' reported leading to splice site truncation which has not been reported in Breast Information Core database as well (figure 2). The prevalence of the mutations is summarized in table 3. Germline mutation of exon-13 of BRCA1 with splice site deletion. A: SSCP mobility shift of the amplified region in exon-13. White arrow: wild type from normal controls; dark arrow: mutated product from a patient showing the mobility shift. B: sequence verification of the deleted nucleotide as indicated in A. Arrow indicates the missing nucleotide A in the exon13 splice site. 1. Out of 1863 amino acids, ring finger domain has been formed from exons 2 to 5 . Most frequently observed mutation 185 del AG has altered the cell viability as tested in ovarian cancers by Nicole et al in 2003 . 2. Exon 13 apart from variation study  was added with a intention to seek for target duplication studies later for those positive variants for geographic relationship as done by The BRCA1 Exon13 Duplication Screening Group. Genetic linkage analysis identification  and refine mapping [11, 12] provided the evidence of location of BRCA1 on chromosome 17 of human genome. BRCA1 mutations accounts for 45% in multiple breast cancer familial cases . BRCA contribution in relation to familial cases of breast cancer is strongly established. Its penetrance as having a germline mutation, in most commonly encountered sporadic forms of breast cancer varies among different populations [14–17]. This contributory variation may be attributed to their different gene pool make and also due to low penetrance genes involvement. In families with no prior history of breast cancer, frequency of BRCA mutation is found significantly low from 0.02% to 10% . In Asia, the prevalence of BRCA1/2 mutations among unselected breast cancer cases was reported 5.1% in Philippines , and 2.5%–3.1% in Korea [20–22]. 2% of breast cancer cases in largest breast cancer population based study in UK population showed association with BRCA genes with 0.7% attribution of BRCA1 (Anglian Breast Cancer Study Group, 2000) . In the only population based study of unselected breast cancer cases, BRCA1 mutations were found in 3/211 American patients (1.4%). Several hospital based series of unselected breast cancers implicate BRCA1 and BRCA2 in 2–5% and 0–2% of all cases, respectively . Earlier studies have estimated the prevalence of deleterious mutations as 5.1 and 6.7% variable by ethnicity  in Korean population and germline mutations of the BRCA2 gene account for less than 0.5% of all invasive breast cancers . This variation may be attributed to difference on genome level among various ethnic and population heterogeneity. The reason of marginally low penetrance of BRCA1 gerline mutations may be attributed to the polygenic involvement and heterogeneity of samples origin too. As in Asia the overall prevalence of germline mutation varies from 0.8% in Japanese  to 8.0% in Signapore region  indicating involvement of other genes and population response with respect to various types and origin of cancers. Moreover inter individual variation does exist among the ethnic groups in association with various risk factor as reported by Peto et al.,  showing mutation prevalence as 3.5% before age 35 yr declining to 0.49% in ≥ 50 yrs. We are extremely thankful to all those patients who took part in this study and want to extend our immense gratitude for the above mentioned institutes for their friendly response and support in this research. Funding approved by COMSATS Institute of information Technology for research work is highly acknowledged by our group. FAM performed laboratory tests and prepared the manuscript; SA, IAB, AM, MA and RS contributed clinical samples and clinical information; MAK and WGJ participated in study design, coordination and manuscript preparation.